Do you remember where you were on Monday, May 9th, 2011? 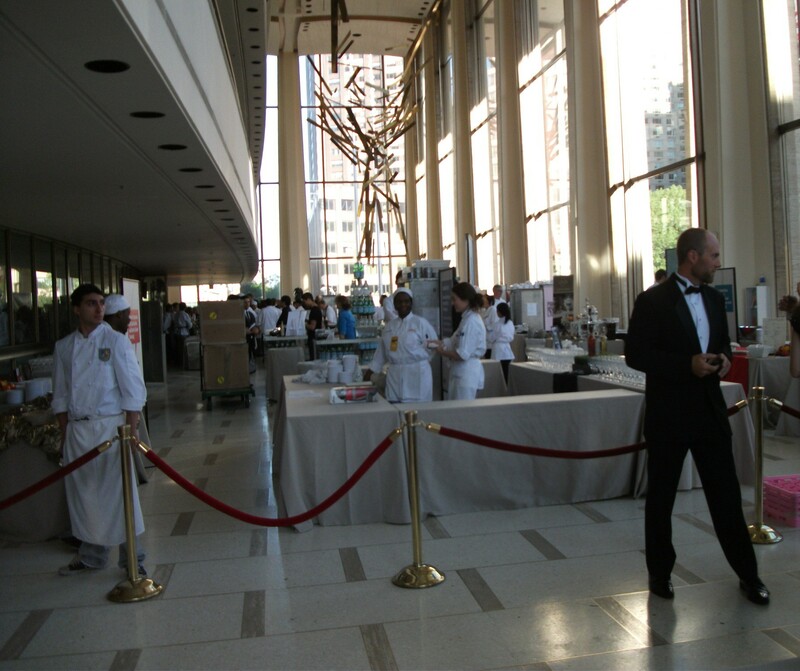 I was at the James Beard Foundation Awards (JBFA, for short), a.k.a. the “Oscars of the food world”. It’s always fallen on the same day as another annual event that I am obliged to attend. 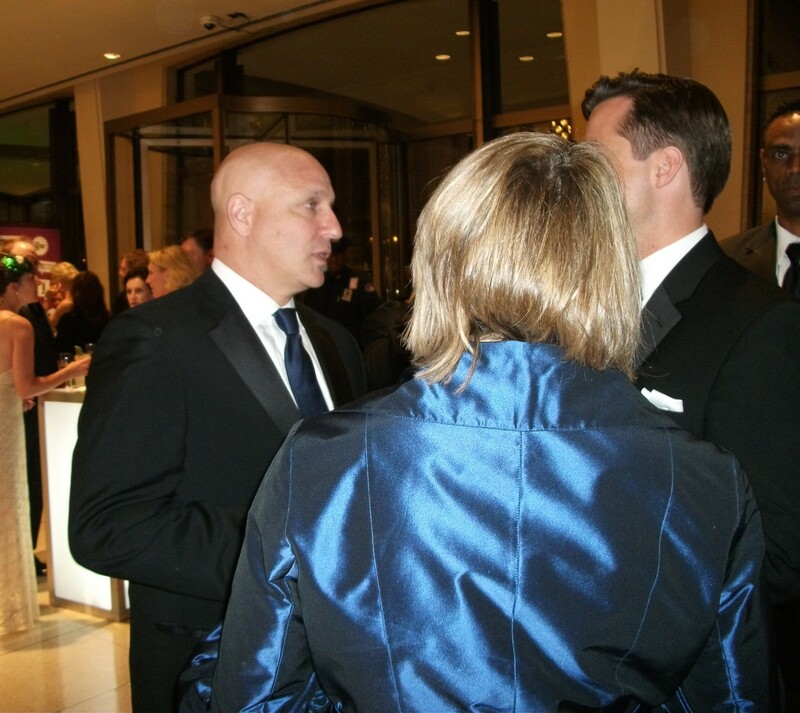 But, this year, that other event was cancelled, and, by invitation, I found myself at Lincoln Center that evening. If you’ve never been….the JBFA, now in its 21st year, is a big deal for food and beverage industry professionals, including chefs, restaurateurs, restaurant architects and designers, as well as cookbook authors and journalists. Two themes dominated. 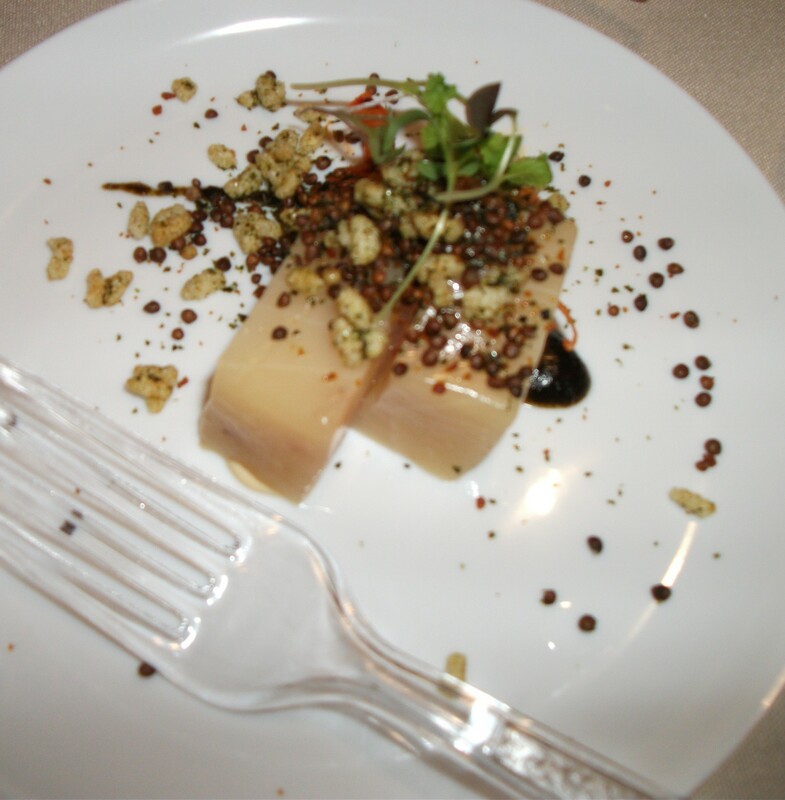 One: American cuisine as the “ultimate melting pot”. And two: American “classics”—inspired, no doubt, by Coca Cola, a sponsor—highlighting restaurants, such as Watts Tea Shop in Milwaukee, Crook’s Corner in Chapel Hill and Noriega Restaurant in Bakersfield, as important mainstays in their respective communities. The three co-hosts were all former James Beard Award winners: Ming Tsai of Blue Ginger in Wellesley, Massachusetts; Traci Des Jardin of Jardinère in San Francisco, perhaps, the most famous of her four California-based restaurants; and Tom Colicchio of Craft and Colicchio & Sons in New York City. “Speak quickly. About 2,000 foodies are waiting for dinner,” Tsai urged, only half joking. (Thank you, Ming! And, thankfully, most winners complied). I was a bit taken aback when Marcus Samuelsson strode onto the stage in an all-white tux—accented by a skinny black tie—to present the “Rising Star Chef of the Year” award. Not many men can get away with wearing all white without looking like the ice cream man. Except, perhaps, Samuelsson, a chef with fashion charisma. He still managed to look hot. I’ll assume that his gorgeous model wife, Gate Maya Haile, approved that tux, too. When Julian Van Winkle III of Old Rip Van Winkle Distillery in Louisville, Kentucky was declared winner of the “Outstanding Wine and Spirits Professional Award”, the crowd erupted with thunderous cheers. Accepting the award, Van Winkle said: “Believe in what you sell.” For decades, Van Winkle has stood firm in his belief of producing premium bourbon whiskey. That special Van Winkle family bourbon recipe? Corn + wheat + barley. No rye. 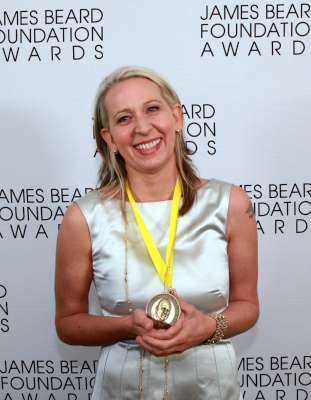 The crowd also roared when Gabrielle Hamilton of Prune (left) was announced as “Best Chef: New York City”. Wearing a long, white, sleeveless satin dress, she was charmingly humble: “I still identify with being a dishwasher—not a ‘chef’”. About her win, Hamilton joked that all it took was “opening a can of sardines, a box of Triscuits and calling it a ‘signature dish’”. Another score for New York City: Per Se won in the “Outstanding Service Award category, accepted by Thomas Keller and his team, one of whom read a (very) long list of thank you’s collected from the entire restaurant staff. Saipin Chutima of Lotus of Siam (Las Vegas) and Tyson Cole of Uchi + Uchiko (Austin) tied for “Best Chef Southwest”. Through a translator, a smiling Saipin conveyed her appreciative thanks, and how she finally felt “like the bride, not the bridesmaid!” Next up: Cole. After a pregnant pause, he murmured: “A tie….interesting.” He then proceeded to thank his “lucky socks”, before musing about his longtime passion for sushi. You can always count on levity when Kevin Zraly, wine educator and founder of Windows on the World Wine School, takes the stage. As a prelude to his acceptance speech for winning the “Lifetime Achievement Award”, Zraly shrugged off his jacket and did nine pushups. OK?! Zraly, who had lost over 70 friends and colleagues on 9/11, also took a serious moment to acknowledge his heartfelt thanks that “The Wicked Witch is DEAD”. Zraly had audiences guessing once again when he began: “Jacques Pepin, Brad Pitt, Keith Richards and I have one thing in common…” Long pause. Whaaaat?? I couldn’t imagine. This entry was posted in Food, New York City, NYC Events and tagged James Beard Awards 2011; NYC restaurants; best chef, Lincoln Center. Bookmark the permalink.